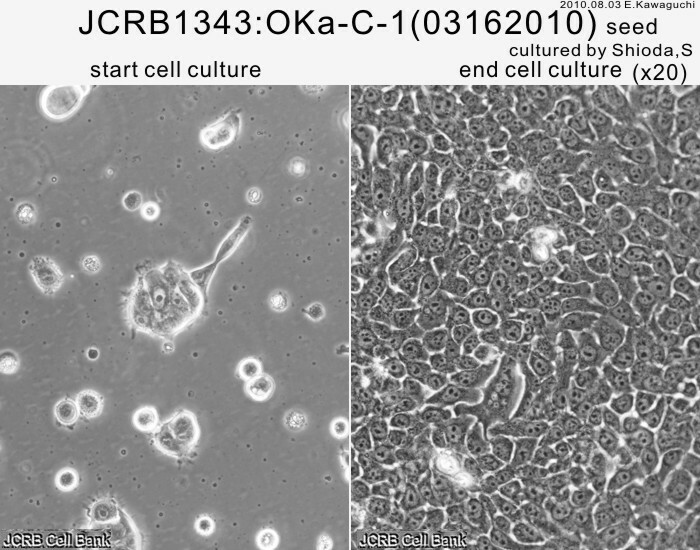 Lung carncer cell line producing both G-CSF and PTHrP. Poorly differentiated squamous cell carcinoma with leukocytosis and hypercalcemia. 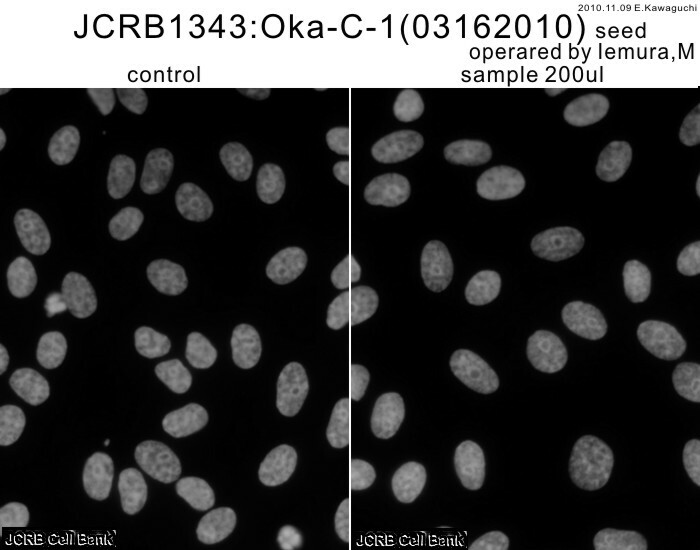 Chromosome numbers are 75 and 78 with complex structural abnormality. 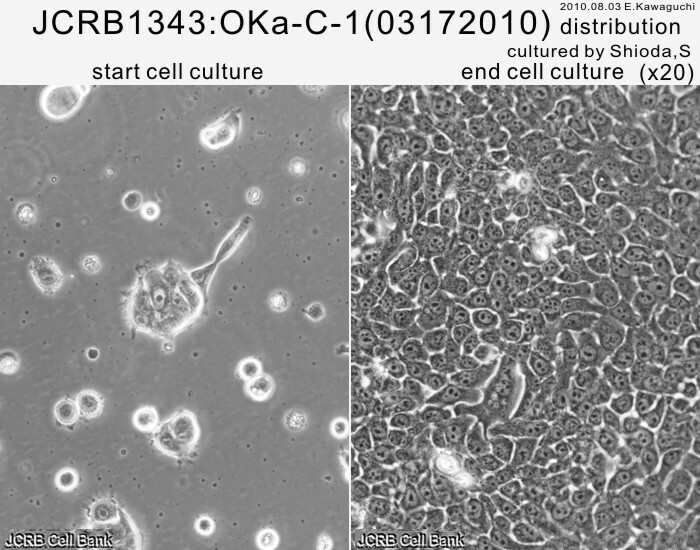 The cell line was established from the transplanted Balb 3T3 mouse. 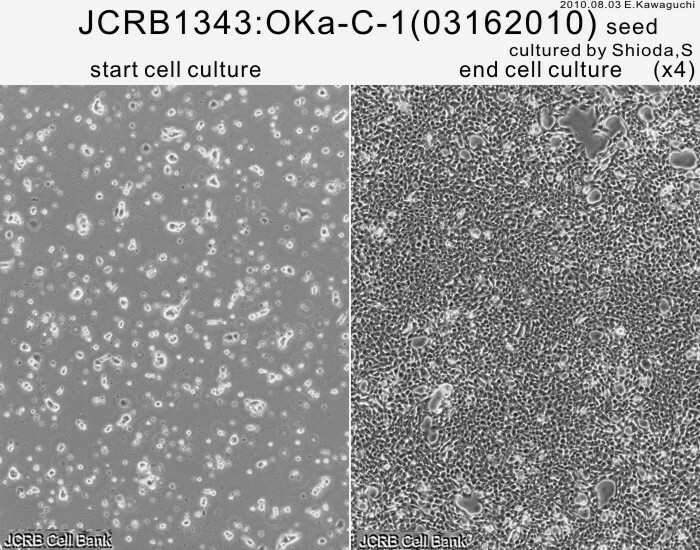 The cell line have a characteristics of inducing leukocytosis and hypercalcemia with high G-CSF and PTHrP levels. Td=95 hrs. Adherent to the culture flasks. 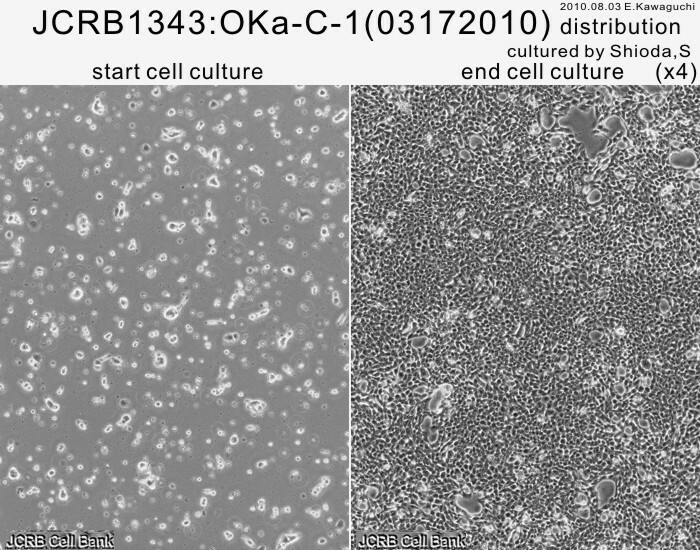 Cells are harvested after treatment with trypsin and EDTA. 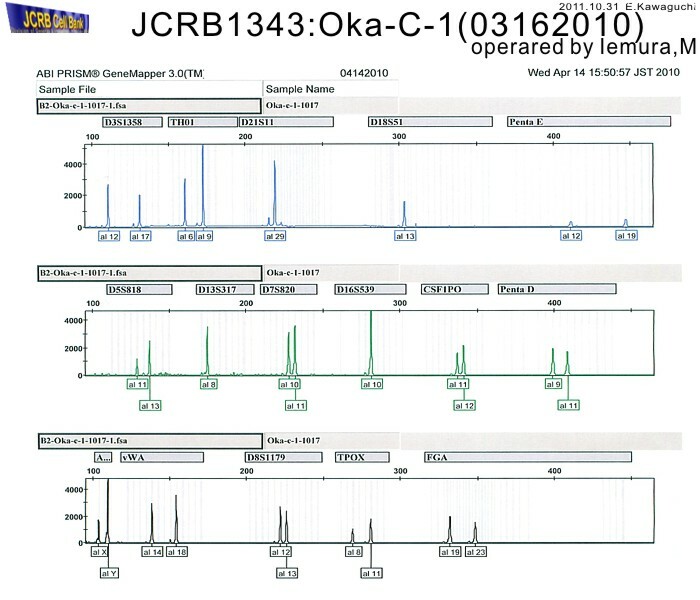 Scraping may be OK. 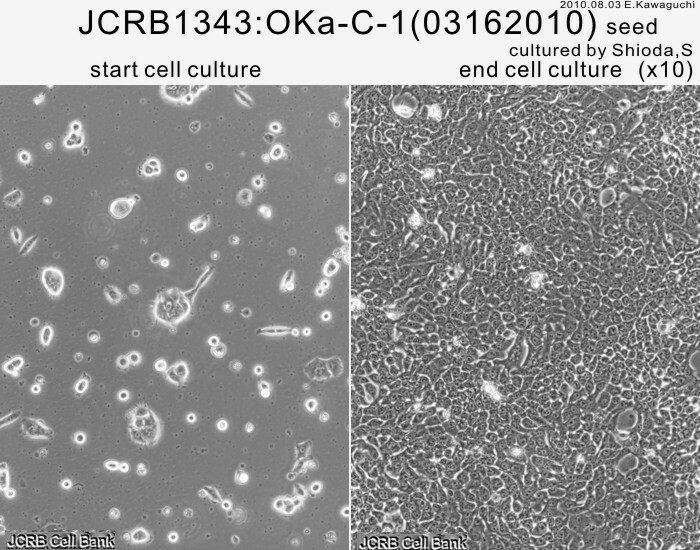 Establishment of a clonal cell line producing granulocyte colony-stimulating factor and parathyroid hormone-related protein from a lung cancer patient with leukocytosis and hypercalcemia.